BOISE, Idaho— Five conservation groups filed a lawsuit in federal court today challenging the U.S. Department of Agriculture’s Wildlife Services’ killing of gray wolves in Idaho. The agency killed at least 72 wolves in Idaho last year, using methods including foothold traps, wire snares that strangle wolves, and aerial gunning from helicopters. The agency has used aerial gunning in central Idaho’s “Lolo zone” for several years in a row — using planes or helicopters to run wolves to exhaustion before shooting them from the air, often leaving them wounded to die slow, painful deaths. The agency’s environmental analysis from 2011 is woefully outdated due to changing circumstances, including new recreational hunting and trapping that kills hundreds of wolves in Idaho each year, and significant changes in scientific understanding of wolves and ecosystem functions. 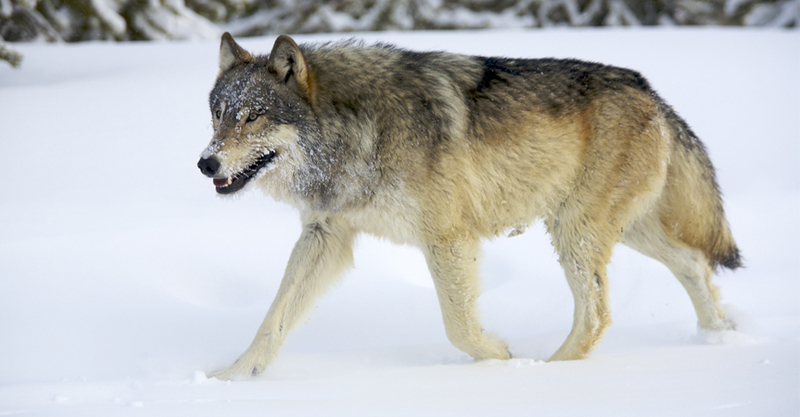 Wildlife Services does most of its wolf-killing at the behest of the livestock industry, following reports of livestock depredation. For example, five wolves were killed outside of Hailey, Idaho in July 2015 for allegedly attacking sheep. Documents indicate that Wildlife Services has even attempted to kill wolves in the newly-designated Boulder-White Clouds Wildernesses. But Wildlife Services does not consider whether livestock owners took common-sense precautionary measures to avoid conflicts with wolves such as lambing indoors.